Spain… It has so many beautiful things in store to inspire multiple tourists. And one of them is sweet and cozy balconies of Catalonia. 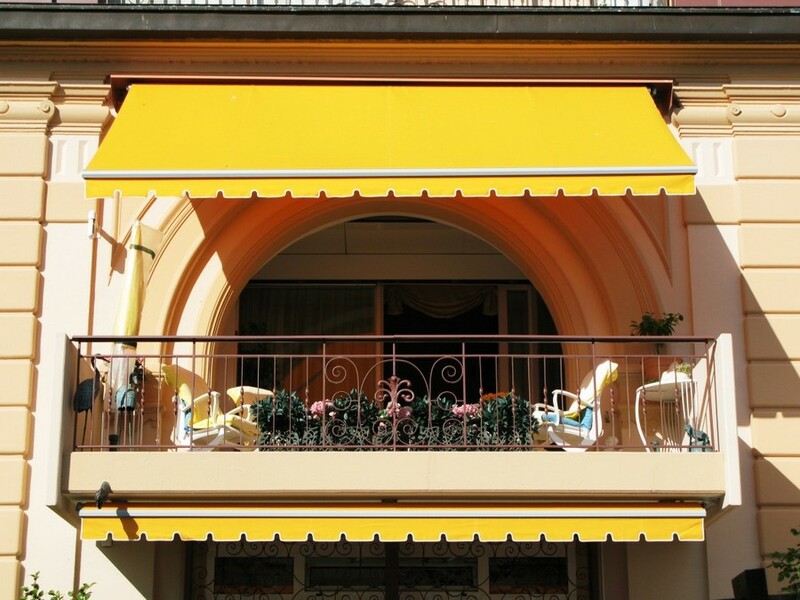 The weekend is approaching and if you have a strong desire for creativity, why not turn your balcony into a cozy nook and a small of piece of Barcelona, no matter where you live? What guard rails to choose? If your financial situation is pretty satisfactory and you want your balcony to be no worth than the best houses of the district of Eixample, then forged rails are what you need. They’re literally sculptured from hot metal and hence can be given any fanciful and seamless shape. 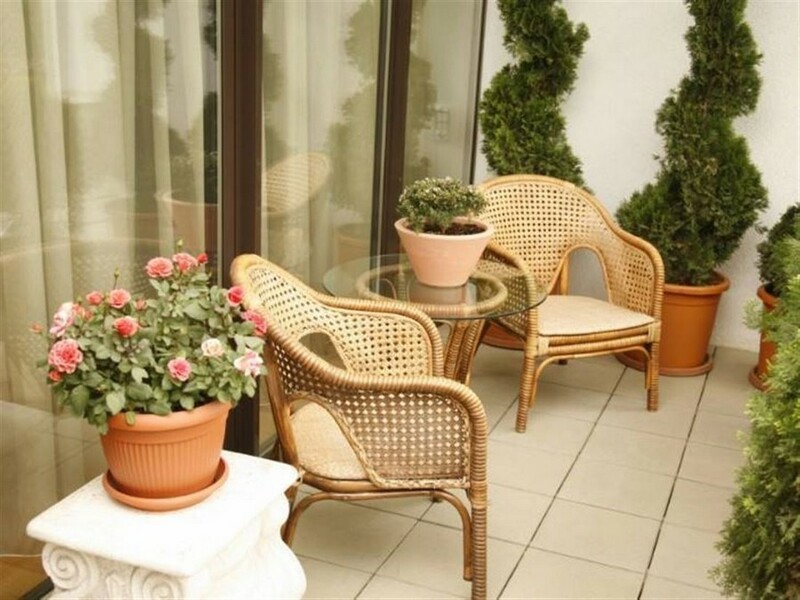 Fans of balcony gardens would admire convex forms that are just perfect for arranging flower pots. Besides, curved shapes hint on Gaudi… But welding can also work wonders, especially when it comes to minimalistic exteriors, where pure geometry comes to the fore. And to add some special Catalan chick, you may artificially age the metal grid, whether it is steel, brass or cast iron. What floor covering to choose? Ceramic tiles are a win-win option. 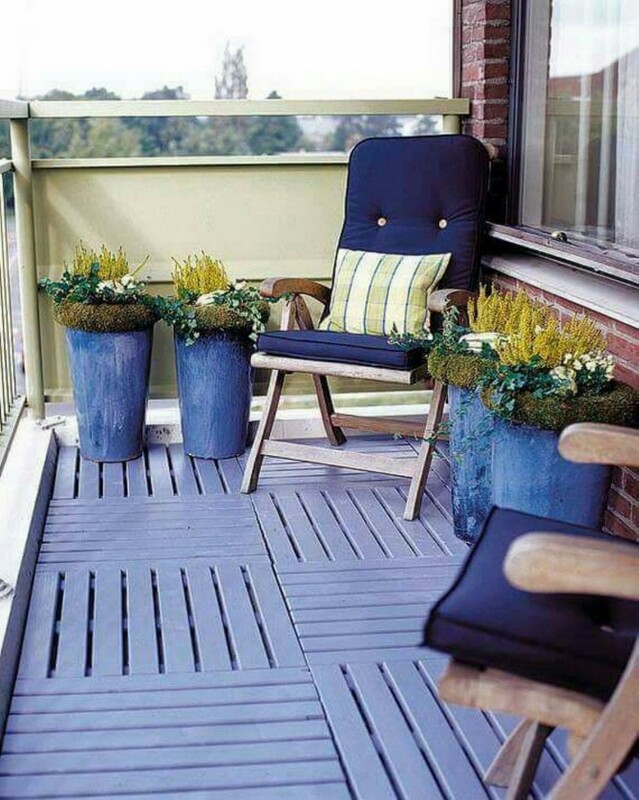 They are the most practical solution, since your balcony floor material should be resistant to sharp weather changes, including frost, heat, rainfall, snowfall and smog. As for the pattern, Catalan style implies the use of faux stone, faux wood or mosaic tiles. If you used elements of wood in the design of guardrails, then decking can form a good match for them. Consider wooden plantation shutters – nothing can be more Barcelonan. And the most traditional choice is a textile sunblind. Ideally, it should be folding, so that you could open and close the blind depending on the weather. Firstly, outdoor furniture should be compact and mobile, so that you could just take it away when the weather spoils seriously and permanently. 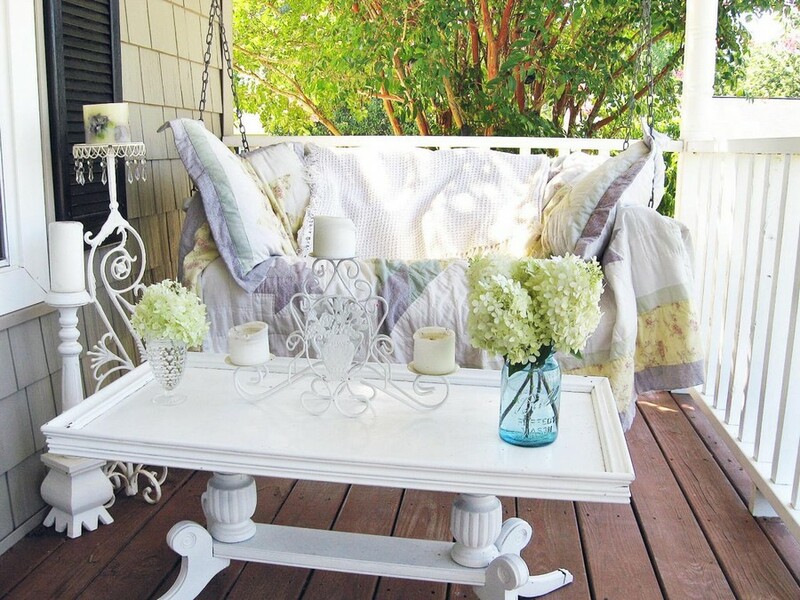 You may opt for the following sets: 2 chairs + a table, 3 ottomans + a table, a couch + a table. Outdoor use implies that you should give preference to furniture made in fiberglass, faux rattan and other weatherproof materials. A balcony in Catalan style welcomes any pieces of outdoor décor: glimmering flower pots, garden lanterns, and candlesticks. And don’t forget about textile – add at least a couple of pillows to the couch and grab your favorite plaid. Greenery is also a big plus. 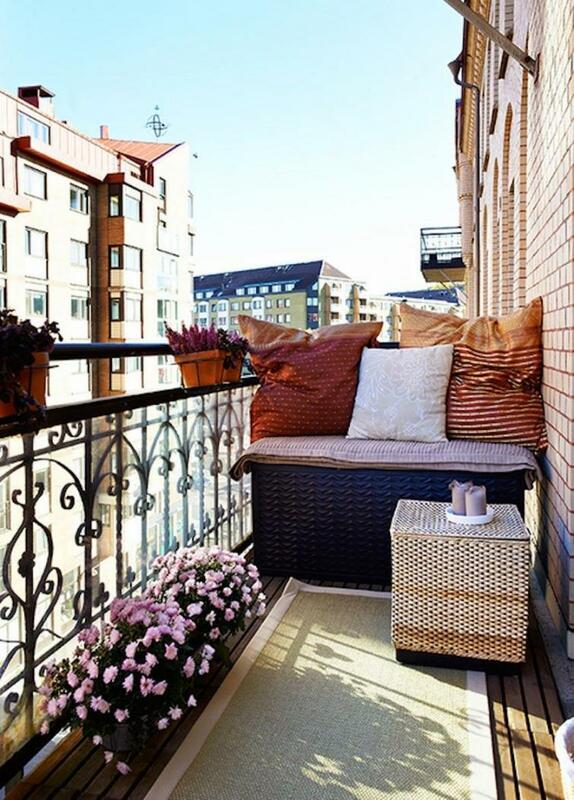 On north-facing balconies a begonia, a primrose, an Indian cress, and a pansy feel good. While a pelargonium and a petunia need much sunlight. By the way, a beautiful decorative watering can is a great piece of décor for a Spanish-style balcony.